I first met David Baker at an author event where there were me and him and another. Our genres are very different as is our tastes, but I can sincerely say I made a lifelong friend that day. David writes a genre I would never consider picking up, yet when he gave me a copy of Viper 1, the book and characters had me hooked. Viper is series about a group of Black Ops that work undercover in secret for the British government and is right up there with Chris Ryan and Andy McNab. Although very much a men’s fiction, as a woman, I was still able to enjoy the pace and the story. His writing is fluid and approachable, which means that anyone who has no idea of Special Ops can get invested in the books easily. The plots in all the books are believable and sometimes scarily so, espcially since Viper 6 is set so close to where I live in Yorkshire. Already a bestselling series, David has proved that those in self-publishing can sell just as well as the greats in his genre. 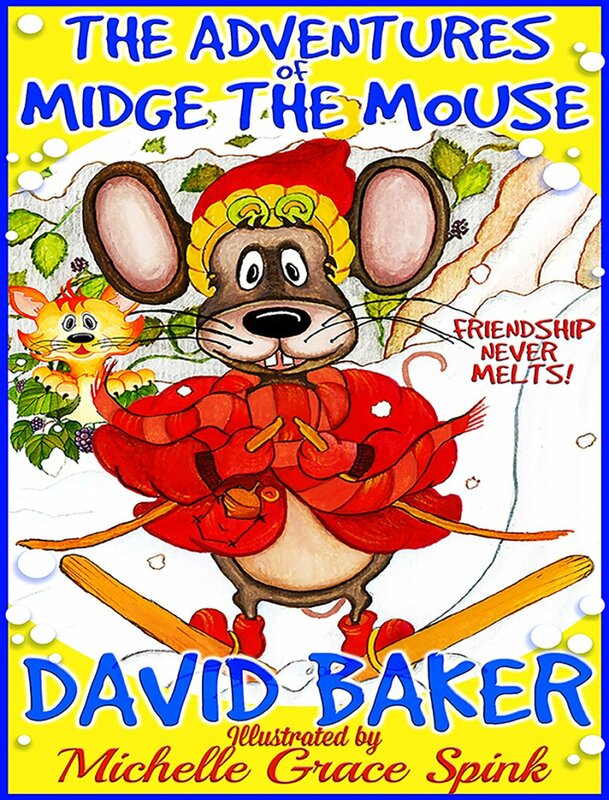 Recently, he as moved into children’s fiction with his Midge the Mouse series. which I’m sure will match Viper’s success. David Baker was born in Scotland due to his father serving in the Royal Air Force. After his schooling in the UK, he served an Apprenticeship in engineering, electronics and statistical analysis. He joined a British Police Force in 1982. He was injured in the line of duty and is now retired. Viper 1 was released in July 2012 and reached number 1 in the Bestsellers in Men’s Adventure Fiction and Lad Literature. Viper 2 ‘The Master of Tomorrows Spawn,’ was released in May 2013 and also reached the top ten Bestsellers in Men’s Adventure Fiction and Lad Literature. Viper 3 ‘Bad Russian Blood’ was released in December 2013 and also reached the top ten Bestsellers in Men’s Adventure Fiction and Lad Literature. Viper 4 ‘Fog of Death’ was released was released in July 2014 and also reached the top ten Bestsellers in Men’s Adventure Fiction and Lad Literature. Viper 5 ‘Vengeance’ was released on 11th December 2014 and reached number 2 the Bestsellers in Men’s Adventure Fiction. Tell me a little about the Viper Series? If you could imagine a highly trained British squad that exists to do black ops work totally off the grid this is it! I can describe ‘Black Operations’ as it involves activities that are highly clandestine and often outside of the standard intelligence/military protocols. It involves a significant degree of deception, to conceal who is behind it or to make it appear that some other entity is entirely responsible. 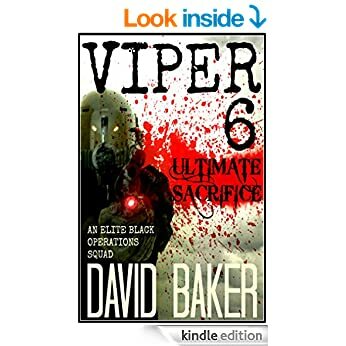 VIPER is a secret Elite ‘Black’ Operations Squad which was formed in Margaret Thatcher’s era following the Iranian Siege in London and still continues to this day. It is closely guarded British Secret handed down from one Prime Minister to the next. Operations are sanctioned only by the current serving British PM, through the brain child and commander of Viper. I am now writing the 7th book in the series, and there are plenty more to come. What was the inspiration behind the characters and story? That is a closely guarded British Secret! You are writing a children’s series as we speak. What made you change from the adult to children’s market? People keep asking me…how have you gone from writing Men’s Adventure books to Children’s Books? Well here’s the reason… I wrote these series of short stories, ‘The adventures of Midge the Mouse on Blackberry Farm’ over sixteen years ago for my two young daughters. They loved the series and always looked forward to the next installment of Midges Adventures with his pals. The pressure from my now grown up daughters to publish these books and share the stories has proved too much. So I decided to work with the Illustrator, Michelle to publish these series of books. I love writing the Kids books; the storylines are full of fun, laughter and adventure. My only problem is…I have to be careful not to have Midge the Mouse and his pals carrying Uzi’s in the kids’ books as I write VIPER 7 and go between the two different genres of books! I have the stories in my ‘noggin’ and write them in my head until it becomes too full! (which doesn’t take long) So then I put two stubby fingers to the lap top to get it all down. Every now and then I scribble notes on any scrap piece of paper to remember to add it to the story. I wish I had learned to touch type when I was younger as my two index fingers are definitely getting shorter the more books I write! You have done really well in the self publishing market for you Genre. What advice would you give others doing the same? I pinch myself every day that my books have done so well and I am so lucky that now, I have a great following of my books. I have spent hours and hours per day marketing the Viper series and plug away wherever I can. One of the best moves was to work with a professional editor. Yes having friends, family read and edit your books is fine, but they don’t really want to say, ‘that bit’s wrong’ or ‘had you been drinking when you wrote that chapter’. My editor is great and tells me exactly where to re-write certain parts and how to polish the book before release. It has taken some time to get there but we now fully understand each other’s thoughts and parameters. I did warn him right at the start he would need a lot of patience with me and it has worked out very well. I can’t really place a one inspirational person. I write my own style and have not read a single book since starting to write some six plus years ago. I don’t want to be influenced by anyone else’s style, descriptive or format. If I admire one authors work, it would be Robert Ludlum.